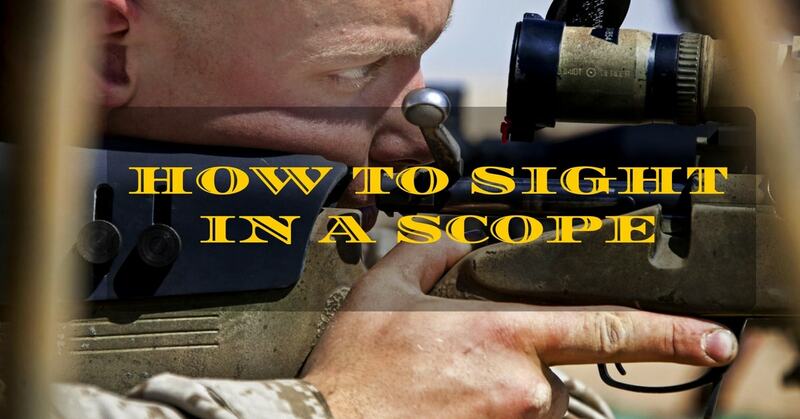 →Do You Know How To Sight In A Scope? Well, do you know how to sight in a scope? It is better left to the pros to do it? It never zeros perfectly so why should I waste my time? These are all well thought out questions and legitimate ones as well. But the only problem is you don’t want a pro or someone else to sight in your scope for you. It is your rifle and you will be looking through the scope once it’s properly sighted. The scope has to be sighted to your eye, not someone else’s. This is why I have written about how to sight in a scope. I would like you to consider learning these steps on how to sight in a scope. Basically, before you even begin the process of sighting your scope (or zeroing it) you should select what is the best load for you to fire your rifle with. Different grains and brands of bullets will affect the accuracy of the rifle. Ultimately, this will affect the accuracy of sighting in your ﻿﻿scope. The best thing I have found to do is just go to the range and start shooting different loads. It doesn’t matter where they hit the target. I am just determining the best load that will give me the most accuracy when I fire. ​Get a high-grade mount and mounting screws. You want that scope to stay on the rifle for years. Secure the screws into the mounts according to the company’s instructions. You may consider finding your dominant eye to begin the sighting in scope process. It doesn’t matter which arm you shoot the weapon with. You must shoot the weapon with your dominant eye. First, make the shape of a triangle with your hands. Flatten out your hands like you were going to do a diamond push up. Choose an object that is far away from where you are. Objects such as a fire alarm on the ceiling, a picture near you on a wall or even a distant person’s face. Keep your arms at a 90-degree angle. Extend your arms out as far as you can but keep your eyes focused on the object. Be sure you are looking through the triangle you made with your hands. I use to think who cares how I breathe. As long as I get my shot off that’s the key. No, that is not the key for a couple of reasons. You want to get your shot well-placed each time. It will also take you longer to zero your scope with improper breathing. You should consider practicing your breathing before you make the trip to the shooting range. When you adjust a scope to hit the target at center. You will shoot in rounds of three. You shoot one round that that is a few inches off the other two this is due to wrong breathing. I noticed that when I breathe out there is a minor break right before I breathe in. This is the right time to take your shot. This is when your body is even in all its functions. Figure out your in break time in between your breathing and visualize your taking a shot at that time. Drilling your shot during this breaking point will center all your groups of shots on the target. This will help you zero your scoop much quicker. I always bore sight my rifle before I go to the range. If you have a bolt action rifle be sure you do this. Do this after you have mounted the scope. Mount the scope but make sure you are using the proper mount and screws for the rifle you will be shooting. By accomplishing the above step you will guarantee to avoid problems when the scope falls out as the rifle kicks. Plant the first target at 25 meters for the first group. The second target at 100 meters to establish the best point blank range. Three groups of well-placed shots should be marked. You may have to make height and adjustments for the wind on the scope. You set that rifle position when you zero the scope keep it there. Be sure to keep the rifle in that position every time you fire it. I always put my rifle on the soft place of my shoulder. Right below your clavicle. I never put the rifle into my clavicle. This way I avoid damage to my shoulder and bone. Put your other arm under the forearm of the rifle. The rifle forearm should be planted on the sandbags or rifle rests. I always have a firm group in back of the trigger space so it doesn’t move during the firing. Don’t put your finger on the trigger until you’re ready to fire. Position the trigger on the soft padding of your index finger. This should be the position you fire each shot with. You should have minimal effort to pull the trigger for each round if you’re doing it right. Set your nose or the side of the cheek on the barrel of the rifle. Never position your face directly forward of the scope and bolt. If you do, you will smack your face after each firing from the recoil. Set your face comfortably for the firing. Be sure you hold the rifle on the same spot on your face every time for every firing group. You hit the middle of the target. Set the height and wind direction on the scope. The scope will have instructions for how many clicks per-meters it should be positioned. Your shot group is at the top right then position your scope down and left. Keep positioning the scope until you get three excellent placed shot groups ( Nine total shots) in the middle of the target. This is the last step in configuring the best point blank range. Set the target at 100 meters. Use the same method of group firings. Extreme range rifles(such as a .43 with a 90- grain bullet or a .270 with a 130- grain bullet). You should adjust them to spot 2 1/2 inches above the middle of the target. Now, for middle range rifles, 30/30 with a 150- grain bullet or a .300 savage with a 165- grain bullet, should place three inches above the middle of the target. You have set three firing groups in a very good spot (like dead in the middle of the target) or nine total shots than your zeroing task is over. You have successfully sighted in your scope. It’s important to follow the steps outlined above to successfully sight in a scope. You should sight in a scope before you do anything regarding firing the weapon. The only consideration before zeroing in a scope is to select the right type of load for your rifle to fire the most accurate projectiles. You may consider just making a trip down to the range and just start firing randomly at the target to see which ammunition fires best with your specific rifle. At this point, you aren’t worried about hitting the center of the target. But still, it is important to select the right kind of bullet because every little change you make to the rifle will influence its shooting Accuracy. 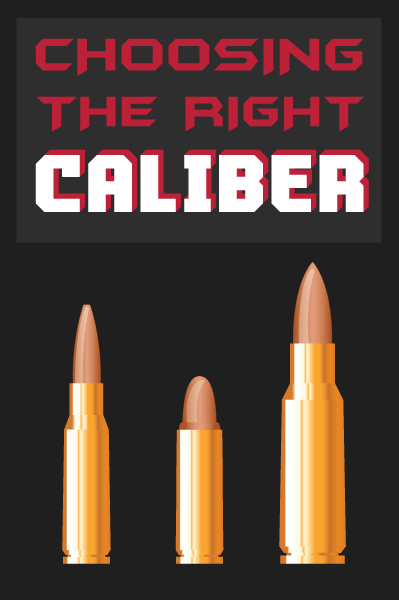 The best bullet for your rifle will be the most accurate one. Sighting in a scope is the most important process you will follow in preparing your weapon for hunting. You should consider to zeroing in the scope on your rifle until you get the load to hit the target dead on. This will translate into accurate firing when it really counts-out in the field when you are sighting that dream elk to kill. An accurately sighted scope will make the difference between bagging the game or driving home empty-handed. If you enjoyed reading this article please leave comment or two. Pass this information on to your family and friends. You might even share this article on a forum or two.